The widow of a 55-year-old cyclist who was killed on a Brighouse road has described how her life was changed forever on the day her “soulmate” died. Philippine-born Teresita Stoker, who had been married to her engineer husband William for 13 years, said in her victim impact statement that part of her wanted to hate the man responsible, but she knew he was human too. Philip Roper, 58 of Elland Road, Brighouse, was sentenced to seven months in jail, suspended for a year, after he admitted causing Mr Stoker’s death by careless driving on the afternoon of January 14 last year. Mr Stoker, from Huddersfield, had been wearing a red high-visibility jacket as he rode his bike to work along Elland Road, but he suffered fatal injuries when he was struck by Roper’s Citroen C5 car. Bradford Crown Court heard how Roper had been travelling behind a BMW which was trying to overtake a slower moving Kia car and Judge Jonathan Durham Hall QC said the defendant should have waited before making the manoeuvre. 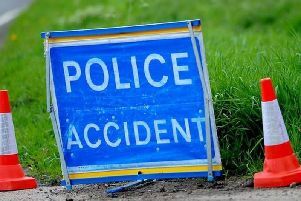 Mr Stoker was able to ride past the on-coming BMW, but he was hit by the Citroen which had pulled out further. Prosecutor Stephen Wood told the court that although A6025 was theoretically wide enough to allow the overtaking manoeuvre and leave enough space for an on-coming cyclist in reality it depended upon the position of the vehicles. “This collision occurred when the defendant pulled out further into the offside than the BMW and collided with Mr Stoker, who was there to be seen,” said Mr Wood. In her victim statement summarised by Mr Wood, Mrs Stoker described her husband as her best friend and soulmate. She said his ashes had been laid to rest in the Philippines where friends and family had organised a sponsored bike ride in his memory. Mrs Stoker said her home felt totally different now because it was so quiet. Roper had been due to stand trial on the charge, but last week his solicitors indicated that he would entering a guilty plea. Barrister Tom Gent, for Roper, said his client was “utterly shattered” by what had happened that day and was still unable to sleep properly. Roper, who walks with the aid of a stick, was said to be waiting for an operation and Mr Gent submitted that the defendant’s remorse was genuine. Judge Durham Hall described Mr Stoker as a fit, hard-working “pillar of society” and he conceded that the sentence would not satisfy the victim’s family or many of the public. The charge carries a maximum of five years in jail for the most serious incidents involving significant aggravating features, but the court heard that the guideline given to judges in cases of “momentary inattention” causing death was a low-level to high-level community order. Judge Durham Hall suggested that Roper’s familiarity with the road may have lulled him into a false sense of security and he said most drivers would have chosen to wait for the cyclist to pass. He said by pulling out further than the BMW Roper had put his Citroen straight in the path of Mr Stoker with catastrophic consequences. “You should have waited,” the judge told Roper. Because Roper was unfit to do any unpaid work as part of his suspended sentence he was made subject to an electronically-monitored home curfew for the next five months between 8pm and 8am.